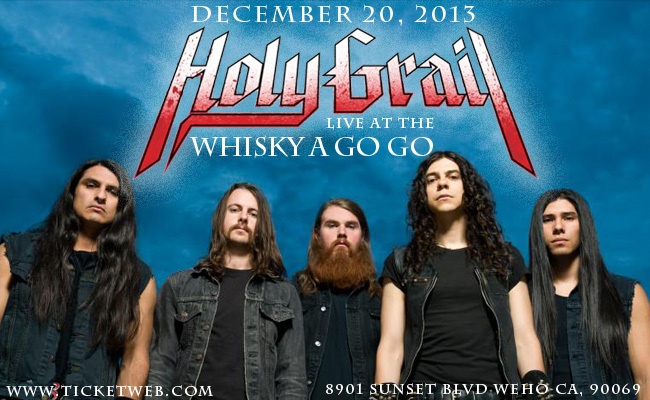 Holy Grail will wrap up 2013 by headlining the Whisky a Go Go on December 20th. With a busy year of touring–including the Metal Alliance Tour with Anthrax, Exodus, High on Fire, Municipal Waste, and Shadow’s Fall, a headline tour, and a tour with Orange Goblin, Holy Grail will conclude 2013 with a hometown holiday show. Support comes from Sirion, Vlad the Impaler, Desecrate, Broken Saviour, and more.